Add credibility and global acceptance to your academic credentials for international verification by getting them attested and embassy legalized through IAO! At IAO, we provide a broad range of services including certificate legalization for students that help them achieve higher goals with less complexities and hassle. Acknowledging the requirements of international use of documents, IAO now introduces expedited Embassy Legalization, US Legalization and Apostille services inclusive of certificate legalization for the students worldwide. 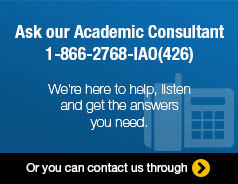 It’s important that you get your academic credentials legalized by a professional agency. We specialize in authentication of academic credentials and degree legalization to assure you that we will get the required documents verified in the quickest and most affordable way. Once legalized, the academic documents with international verification can do wonders for you, providing a chance to reach educational goals and improve job prospects. Certificate legalization is also provided by IAO for better future prospects without any hassle. Apostille or Certification from the respective Secretary of State. International verification of educational documents for local employers. Fill in the simple form below and have your degrees accepted by education providers and employers worldwide.